Please see our full admission arrangements information by clicking here. Please see our Exclusion Policy by clicking here. Please see our most recent OfSTED reports by clicking here. Please see our most recent press release regarding Key Stage 4 (GCSE) results by clicking here. ¹ Please note that the data for the 2016 performance measures are for the past A*-G graded GCSE qualifications. * Please note that the data for the 2017 performance measures are the first 9-1 graded GCSE qualifications in English and Mathematics, with remaining A*-G graded qualifications carrying a lower ‘Attainment 8’ value. Please see our most recent press release regarding Key Stage 5 (GCE) results by clicking here. Please also see details of our assessment and monitoring in Key Stage 3 by clicking here. 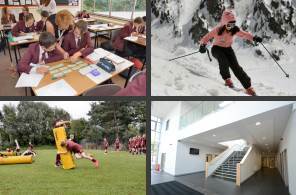 Please see our national school and college performance tables information by clicking here. Please see details of our overall ‘Curriculum Plan’ by clicking here. Please see details of our curriculum’s links to SMSC, British Values and an overview of our ROSE (PSHE) Days by clicking here. Further details about ‘Assessment & Monitoring’, including the curriculum content for each subject in Key Stage 3 can be seen by clicking here. Please see details of our ‘Year 9 Guided Choices’ process for support in the selection of our Key Stage 4 offer by clicking here. Please see details of the Key Stage 5 (Post-16) study programmes and qualifications on offer through our dedicated Sixth Form web-pages by clicking here. If you have any further questions about the curriculum that Tytherington School offers, please make contact with us using the telephone number or email address in the ‘School contact details‘ section above. Please see our Behaviour Policy, known as our ‘Conduct and Safety Policy’ by clicking here. Please see our most recent ‘Pupil Premium Review’ by clicking here. We hold an annual review of our strategy regarding pupil premium that takes place across the end of August and into September, as part of reviews of students’ performance and the our whole school self-evaluation. The ‘Pupil Premium Review’ that we publish is an outcome of that review process that is then presented to our governing body. Please see our most recent ‘Year 7 Literacy & Numeracy Catch-Up Premium Review’ by clicking here. Please see our ‘SEND Report’, contained within our ‘Local Offer’ document, by clicking here. Please see our equality objectives contained within our ‘Equality & Transgender Policy’ by clicking here. Please see our ‘Provider Access Policy Statement’, containing our ‘Careers Programme’, by clicking here. Please see our ‘Privacy Notices’ and information within them about Data Protection and the GDPR by clicking here. Please see our ‘Complaints Policy & Procedure’ by clicking here. Please see our ‘Special Educational Needs Policy’ above for specific details about any complaints regarding support of children with special educational needs provided by the school. Please see our ‘Whistleblowing Policy’ by clicking here. Please see our annual reports and accounts by clicking here. Please see our ‘Charging and Remissions Policy’ by clicking here. Please see our “Our Vision” web page for further details by clicking here.